Got some new sneaks today for working out! Desperately needed to replace my old ones. Plus, having nice workout gear is a good way to get motivated to move your bum. When you look good, you feel good and when you feel good, you do more! 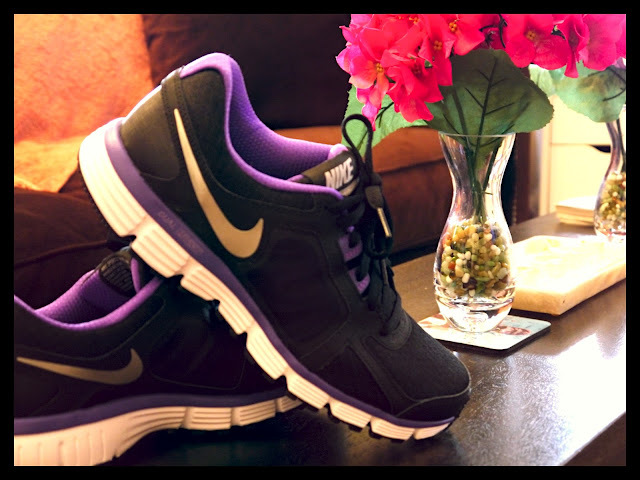 I think the same thing applies to working out :) Anyway these are the Dual Fusions by Nike and they are so comfy. They were $75 which is pretty good for workout shoes. 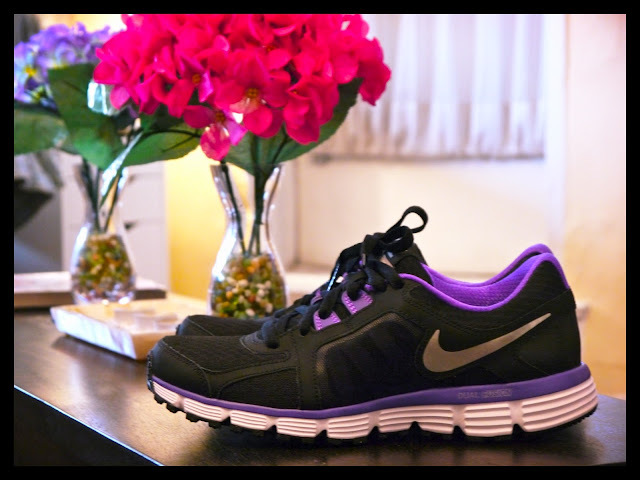 I will be brining these with me to LA for our hiking adventures on Runyon Canyon - woop can't wait! Yess Sneakers lol!! I love buying shoes just like heels!! I bought myself some nike ones last year! there pink and black! This look nice! Nothing better than walking with comfortable shoes! My chiropractor told me that you're just paying for the name with Nike's and most other brands. Which made me really sad because I was so excited that I had just purchased new Nike running shoes. But of course he was right and my feet and ankles hurt in them =( He recommended that I get my feet fitted for actual running shoes and that New Balance is a really good brand if you don't want to shell out God know's how much for custom shoes. I hope that you don't have the same problem I do with my Nike's, just keep that in mind when purchasing your next pair.